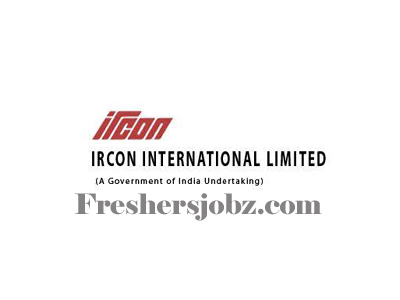 IRCON Notification 2019.Indian Railway Construction International Limited, IRCON has released a notification for the recruitment of Site Engineer, Assistant Manager, Multiple Vacancies.Check the eligiblity and notification prior to apply for the positions. 1. Eligibility criteria: Technician/ Artisan -Rs.25500- 81100 Revised CDA (Pay Matrix level 4), Diploma Engineer with 5 year experience in Track Maintenance and Track Construction. Technicians - Rs. 19900- 63200/ Rs. 21700-69100 Revised CDA (Pay Matrix Level 2/3) with 10/8 year experience respectively in Track Maintenance and Track Construction. 2. Scale of Pay: Rs. 29000-91000/- + allowances + PRP (IDA) CTC: Rs 6.2 Lacs pa (Approx.) + HRA + PRP As Applicable. On Deputation: Rs. 29200- 92300/- + allowances. Age: Candidate should be preferably below 55 yrs of age. 1. Eligibility criteria: JE- II -Rs. 29200- 92300 Revised CDA (Pay Matrix level 5), Diploma Engineer with 5 year experience in Track Maintenance and Track Construction. Technician/ Artisan -Rs.25500- 81100 Revised CDA (Pay Matrix level 4), Diploma Engineer with 8 year experience in Track Maintenance and Track Construction. 2. Scale of Pay: Rs. 40000–140000/- + allowances + PRP (IDA) CTC: Rs 9 Lacs pa (Approx.) + HRA + PRP As Applicable. On Deputation: Rs. 35400- 112400/- + allowances + HRA + PRP As Applicable. 1. Eligibility: SSE/SE -Rs. 44900- 142400 Revised CDA Revised (Pay Matrix Level 7), Graduate Engineer with 6 year experience in Track Maintenance and Track Construction. JE -Rs.35400-112400 Revised CDA (Pay Matrix level 6), Diploma Engineer with 16 year experience in Track Maintenance and Track Construction. 2. Scale of Pay: Rs. 60000-180000/- + allowances + PRP (IDA) CTC: Rs 13 Lacs pa (Approx.) + HRA + PRP As Applicable. On Deputation: Rs. 53100- 167800/- + allowances. Interview, If selection panel finds any candidate suitable/fit for a lower post/ grade, then he/she shall be selected on the lower post (irrespective of the actual post/vacancy to which candidate has applied) subject to the willingness of the candidate. 1. Before applying, candidates should ensure that they fulfill all the eligibility criteria mentioned in the advertisement. Eligible candidates have to apply in prescribed format through off line mode only. It is advisable that the candidates have a valid e-mail id in order to facilitate faster communication. 2. Application neatly typed on A-4 size paper in the prescribed format should be sent to General Manager/ HRM, Ircon Internation , C-4, District Centre, Saket, New Delhi – 110 017. After the application is filled duly, candidates must take a printout of the application form along with all the relevant documents as specified above and send it to above mentioned address. 3. The envelope containing duly signed application should be clearly super scribed “Application for the post of “……………………”- Advt. No. 03/ 2019 on Immediate Absorption/ Deputation basis”.Before submitting the application, candidates should ensure that all the entries are properly filled and are correct. Only duly signed applications will be considered. b. Last Date of receipt of applications in prescribed format - 13.05.2019.